A BRAND new tournament takes its place on the European Tour schedule with the first staging of the Saudi International at Royal Greens Golf & Country Club and, there is a truly star-studded field in attendance. The top three golfers in the world - Justin Rose, Brooks Koepka and Dustin Johnson - will be joined by Omega Dubai Desert Classic winner Bryson DeChambeau, along with almost all of Europe’s leading golfers. 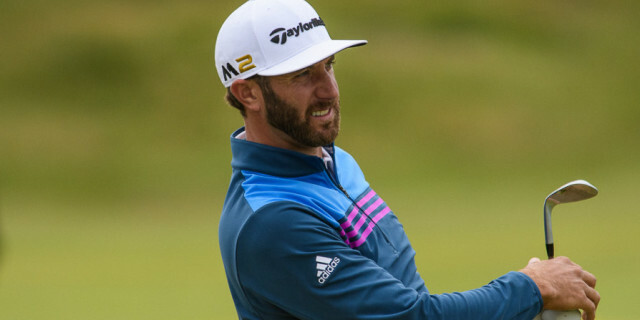 Headlining the field, which already includes World No 1 Justin Rose and World No 3 Dustin Johnson, will be three-time major winner and World No 2 Brooks Koepka. The former European Challenge Tour player not only defended his U.S. Open title last summer, becoming the first player to do so in 29 years, but went on to add to his major haul at the US PGA Championship, where he saw off the challenge of Tiger Woods. Fellow American and World No 5 Bryson DeChambeau, who cannot stop winning lately, and Masters champion Patrick Reed complete the world-class American contingent. Also playing is four-time major champion and 71-time worldwide winner Ernie Els, who will make his second trip to King Abdullah Economic City, having been part of the grand opening last year. The European challenge will include Lee Westwood and Thorbjørn Olesen, who each played their part in Europe’s dramatic victory at Le Golf National, with Westwood, a veteran of 10 Ryder Cup matches as a player, serving as vice captain and debutant Olesen claiming a vital singles point against Jordan Spieth. Brooks Koepka. How can a three-time major champion be underrated?